In the 1st image there's only RPi's 3.3V power. In the 2nd image there's a breadboard power supply module. The lesson says that L9110 needs a +5V power supply. 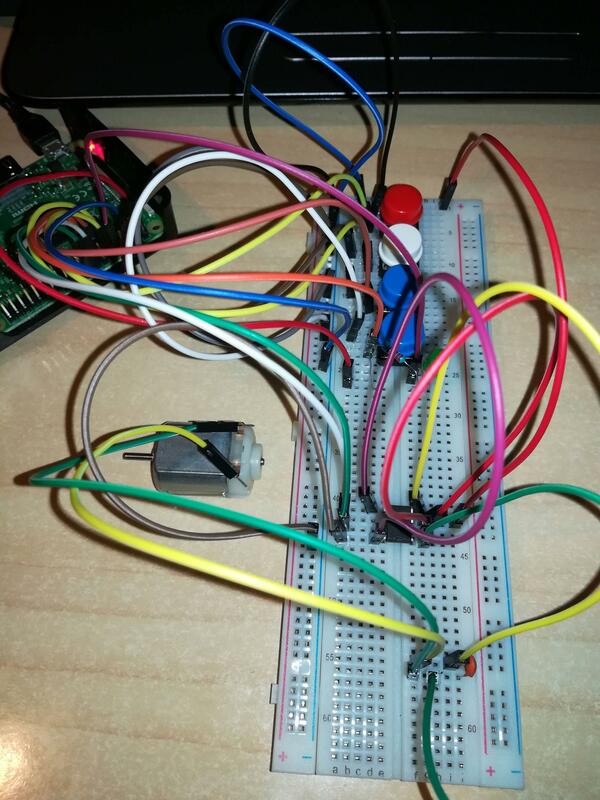 GPIO.setup(BTN_RUN_STOP, GPIO.IN, pull_up_down=GPIO.PUD_UP)  # set pin mode as input, and pull it to high level. I don't have another power supply for the breadboard power supply module, it accepts a DC 6.5V-12V input voltage and outputs 700mA (Max) current. Can I feed it with the laptop's USB? If I feed it with a 12V power supply, which maximum current must output? 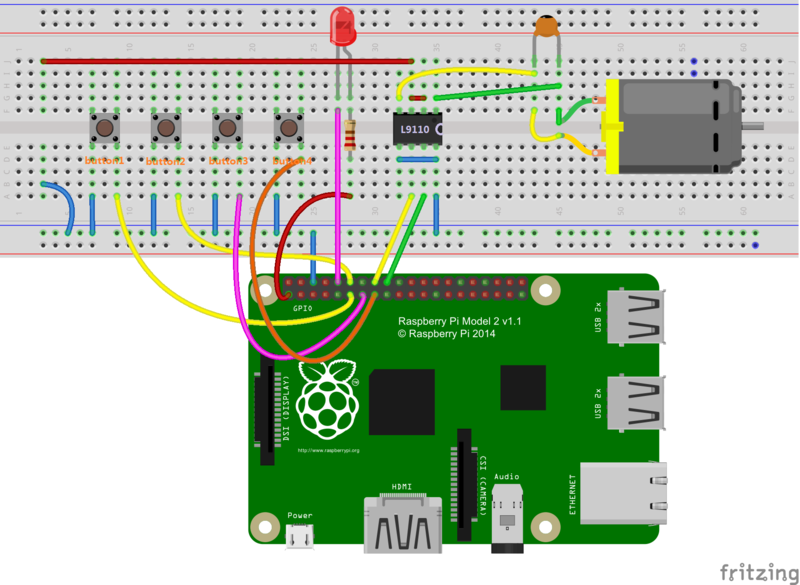 Can I use RPi's 2nd pin? 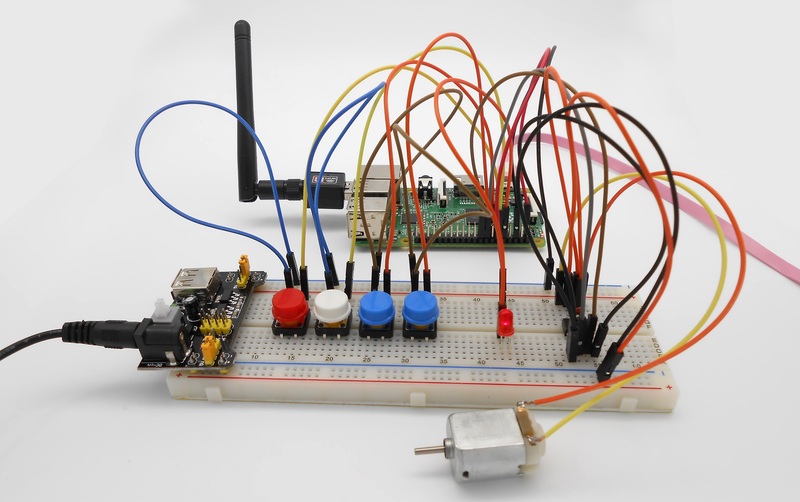 You do not want to power the motor directly from the Raspberry Pi. I'm surprised that your attempt at it hasn't destroyed the Pi already. The L9110 chip datasheet states that the L9110 Vcc (input power) can be from 2.5V to 12V. The +5 volt specified input is probably because the motor can't take a high voltage. You should not use USB to directly drive a motor. One way to power this is to get a 6v battery pack (4 AA batteries - non-rechargeable - would do) and connect it like the breadboard power supply is connected. Another way would be to use the breadboard power supply and power that with a 9V battery pack (6 AA batteries). Not the answer you're looking for? Browse other questions tagged pi-3 power-supply dc-motor or ask your own question.